I do not have major dark circles but I always use concealer to even out the skin around eye area. These days I do have few acne and redness on my cheeks and concealer is a must have for me. I was a huge fan of Colorbar Concealer Stick but don’t know why I find it had been aggravating my acne. 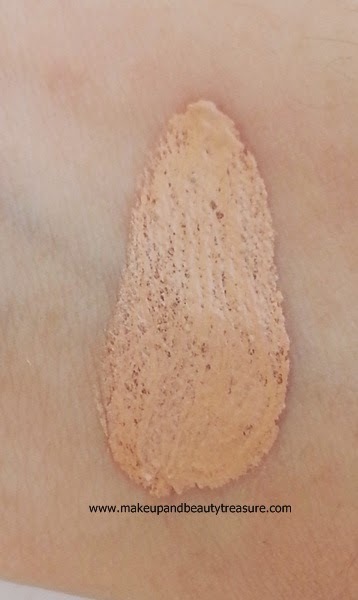 Living Nature Concealer stepped into my vanity on the right time. It is natural concealer and contains certified organic ingredients that are gentle on my sensitive skin. Today I am going to review Living Nature Concealer in shade Light which is great for acne scars and dark circles. A creamy formula to match Living Nature foundation products. 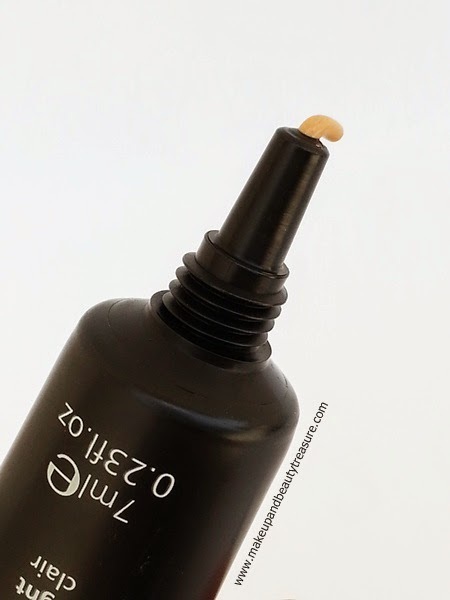 Suitable for all skin types, the Concealer minimises the appearance of skin imperfections and dark circles around the eyes by helping even out skintone. Manuka Honey nourishes and skin protector Manuka Oil is an antimicrobial. Pure minerals provide healthy skin coverage for a flawless look every day. To use: apply sparingly to problem areas and blend edges. Follow with foundation product of choice. 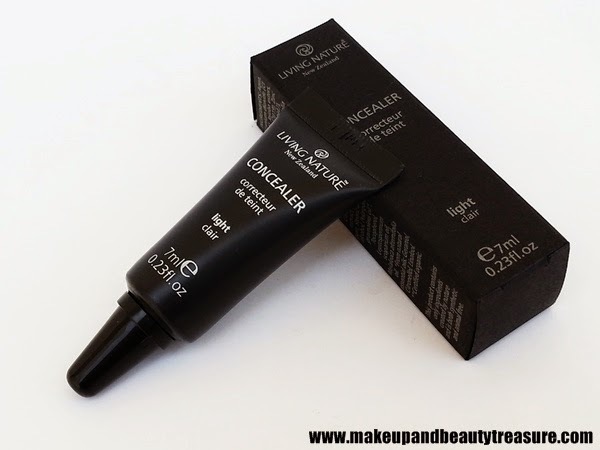 Living Nature Concealer comes in a dark black cardboard box packaging that is recyclable. All the information is printed over the box itself. The actual product comes in a sturdy, squeezable plastic tube with a black screw top lid. The packaging looks really classy and is quite light. It can be easily carried around in a makeup bag without any fear of leakage or spillage. I totally loved its tube packaging as it is great for traveling and I do not need to carry a concealer brush though I still tend to use a brush when at home to blend it in. The texture of the concealer is soft and smooth with soft creamy formula. It is neither very thick nor very thin. It glides easily across the skin with no effort. I particularly use it under my eyes and on acne and redness. It blends in easily and lightens the skin. It covers blemishes and redness without sliding off them or clumping up. The pigmentation is sheer to medium. It does not completely eradicate the appearance of my acne but it makes them look less visible and lightens them really well. It works well with both fingers and concealer brush. I use my fingers when hiding dark circles as the warmth of fingers blends in the concealer well with no patches around. To cover up blemishes or acne, I use concealer brush as it tends to give better coverage than fingers. It is quite moisturizing due to the presence of Manuka Honey in it. 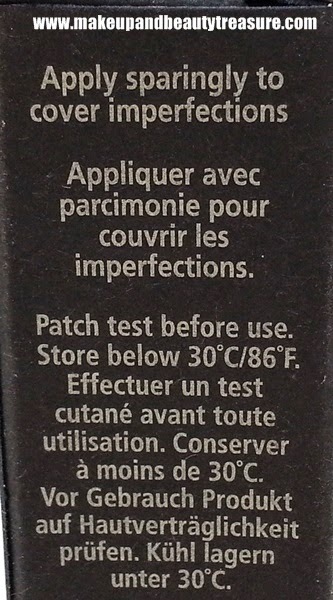 It does not tend to make my blemishes look dry and patchy. I usually apply my concealer after foundation to get good coverage and then set it up with a powder. The concealer does not tend to get heavy or cake-y. It stays put on my oily skin for a good 4-5 hours without oxidizing. It stays more than 5 hours around my eyes and my dark circles does not show up. It makes my skin look even and flawless and I love using it every day. It does not aggravate my acne as it contains many certified organic ingredients. Living Nature is a natural cosmetics company and boy I love their products a lot. Living Nature Concealer comes in three shades. I have the shade Light which is the lightest shade and suits my fair skin tone to the core. It has slightly orange undertones but does not tend to oxidize. It looks natural on my skin and does not look as if I have blobbed something on my skin. I have applied the concealer around my eyes and loved how natural it looks! • Blends into the skin with no effort. • Lightens the blemishes and dark circles. • Sheer to medium pigmentation. • Moisturizing due to the presence of Manuka Honey. • Looks natural on skin. • Does not aggravate acne or pimples. • Contains certified organic ingredients. • Lasts really long. I have been using it almost daily for a month and still more than half is left. • You might not like it if you are looking for heavy coverage. Overall I am totally in love with Living Nature Concealer. It not only lightens blemishes and dark circles but looks natural on the skin. It is quite moisturizing and blends in really well. It stays on for a good 4-5 hours and if you reapply your powder it stays put for few more hours. It is gentle on the skin and does not aggravate my acne. It is great for people with sensitive skin. I would HIGHLY recommend it to everyone! 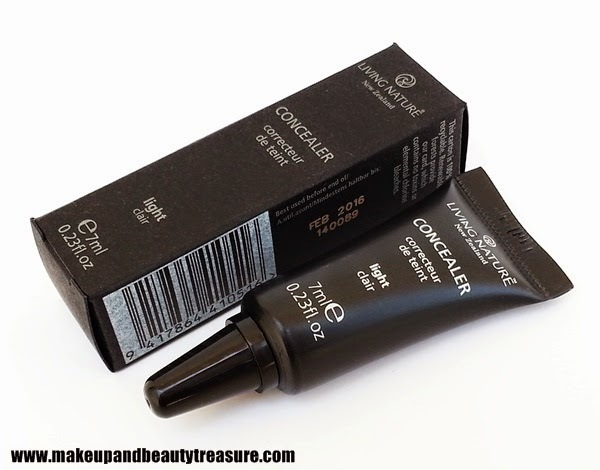 Have you tried Living Nature Concealer? How was your experience? What is your favorite concealer? Share in the comments section below! Disclaimer: The item was sent by PR for consideration. The review is based on my own honest and personal experience with the product. Yeah Jhilmil since it has sheer to medium pigmentation it works to cover minor circles well. Living Nature products are awesome! Thanx Megha. Glad it helped you! Fio u made my day <3 Thanx so much! Do check it out. Their makeup section is just awesome! For me it is very important that it does not dry out the skin, great review! This concealer is actually moisturising. Thanx dear! superb review. i have really dark circles so wouldnt work so well on me but the brand sounds great! Yes I am looking for heavy coverage. But this looks great!